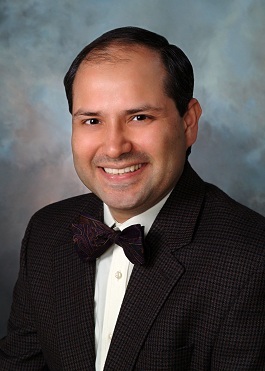 Dr. Madaan completed his Fellowship in Allergy & Clinical Immunology at Mayo Clinic in Rochester, Minnesota. He has served as an Anaphylaxis Community Expert (ACE) with the non-profit Allergy & Asthma Network - Mothers of Asthmatics. Dr. Madaan is the past Chair of the Cough Committee of the American Academy of Allergy, Asthma and Immunology. He is a Past Editor of the Member Section of the AAAAI website. He has served on several National Committees of AAAAI (Immunotherapy; Allergen Standardization and Allergy Diagnostics; Adverse Reactions to Foods; Rhinitis, Rhinosinusitis and Ocular Allergy; Allergic Skin Diseases; Anaphylaxis; Adverse Reactions to Drugs, Biologicals and Latex). He is a Fellow of the American Academy of Allergy, Asthma and Immunology, American College of Allergy, Asthma and Immunology, and American Academy of Pediatrics. Dr. Madaan has authored and co-authored book chapters, reviews and original articles in publications such as Immunology and Allergy Clinics of North America, Allergy and Asthma Proceedings, International Archives of Allergy and Immunology, Drugs of Today and Drugs of the Future, in addition to numerous presentations at national and international allergy society meetings. He has served as a reviewer for JACI (The Journal of Allergy and Clinical Immunology): In Practice, AAAAI Annual Meeting Abstract Submissions and BMJ (British Medical Journal) Case Reports. Dr. Madaan has received numerous grants and awards from American Academy of Allergy, Asthma and Immunology, American College of Allergy, Asthma and Immunology, Clinical Immunology Society and American Academy of Pediatrics. He has been listed in the Guide to America's Top Physicians.